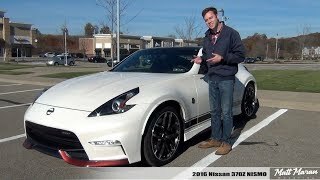 For speed lovers 370Z Nismo from the house of Nissan is no new name. Its perfect handling and fast acceleration grabs your attention instantly. The only drawback which I felt till date was its looks, however this year with unveil of Nissan 370Z Nismo 2015 it looks like company has found its way to overcome the obstacle. 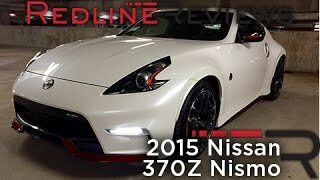 Let us have a look at the review of Nissan 370Z Nismo 2015 to know more about its details and performance specifications. The interior of Nissan 370Z Nismo 2015 will amazingly delight your presence in its cabin. The first thing grabbing your attention through not only its comfort but with looks as well is its dynamic Recaro seats that are designed especially for this model. Featuring red and black contrast seats are covered in black and red leather with Alcantara accents that looks glorious with red stitching. Sitting over these seats you’ll notice sports steering wheel that comes wrapped in Alcantara giving you perfect grip with soft feel. If you want the interior of Nissan 370Z Nismo 2015 to be tech based, company provides you an option to go for tech package that adds a 7-inch touch display supporting navigation system, rearview monitor, satellite radio and more features. The exterior of Nissan 370Z Nismo 2015 is simply stunning with its new looks. Starting with the front fascia you have a large grille sitting amidst the LED daytime running lights and blade-like air vents. Beneath them you’ll notice a splitter with its some sections connecting to lower part of grille and the amalgamation here gets embraced with red contrasting inserts. With our expectations raised high with this aggressive stance of front end we started moving towards the rear fascia of Nissan 370Z Nismo 2015 and got pretty delighted with the red accents marking their presence into the side skirts that indeed gave a sporty look. At the back side the first thing we noticed was the bumper which was incorporated with large air vents while the diffuser got bit modifications and an entirely new spoiler heading this batch. 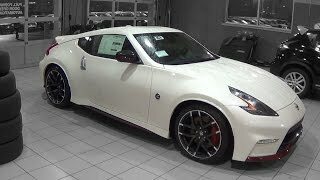 The Nissan 370Z Nismo 2015 gets its power through a 3.7 Liter V6 generating total output of 350 hp and peak torque of 375 nm paired to six-speed manual transmission. As we mentioned earlier for the first time you have an option to switch for seven-speed automatic transmission, which we believe will incline more buyers towards the model. 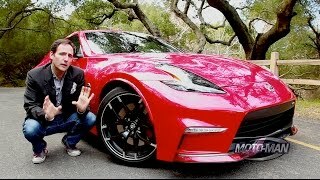 Holding the same output figures we are expecting the top speed of Nissan 370Z Nismo 2015 to be the same 155 mph and a time span of 5.0 seconds to reach 60mph from standstill. This is just an expected figure as nothing has been specified from company’s side.